You have been working hard to earn money, put away savings, and to care for your property and loved ones. Now, you are thinking about all your accumulated assets and wondering what will happen to them if you die or come in need of long-term care. It is important to understand a few things about asset protection so that you can plan ahead and be prepared when the time comes. To get started, here are three important things about asset protection. Without a proper will or estate plan, the distribution of your assets will be determined by the court. In most cases, assets will go to a spouse or your children. However, in some cases, assets can be left to a guardian of your children. These guardians may need the court to approve large purchases, but they will have access to your money and thus there might not be as much money left for your children when they get older as you had hoped. Asset protection planning through things such as trusts, your will, or estate planning can prevent such a loss. Business debts and liabilities will affect the assets you have left behind. It is important to consider any debts or liabilities that you have incurred and to have some layers of protection through things such as liability or property insurance to help soften any blows these debts might make on your remaining assets. You don’t just need asset protection when you are older. What if both you and your spouse were to pass away—who would care for your children? What would be left to them, and when would be it awarded to them? 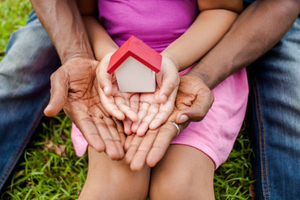 These are just a few of the questions that you need to answer to help protect your assets and be sure that you can have provisions left for your children, should such a situation arise. Asset protection is wise for adults of every age, but is particularly crucial for those nearing retirement. Asset protection is complex, which is why you need the help of a lawyer. There are many caveats and “fine print” rules and regulations surrounding estate law and asset protection, and understanding the ins and outs of those laws is necessary to truly save the most of your property from high taxing and being contested at court. A good estate planning lawyer will be able to help you sort through all the tough questions and then take care of all the background work so that you can rest easy and know your assets are protected.